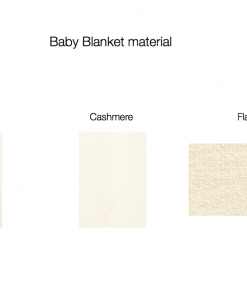 Our baby blanket material comes from the Geelong Baby Blanket Company. The Geelong Blanket Company was commenced in 1996, owner Robert Duthie has worked in the Textile Industry for over 40 years specialising in Woollen fabric making. The fabrics are aimed at the top end of the fabric market, in particular fine 100% wool fabric and Cashmere / wool blend fabric for speciality Baby Blankets.